Bran, 26km south-west of Brasov, is Romania's main agro-tourism destination. Dracula-buffs will love the halls and corridors of Bran Castle, Romania's most famous tourist attraction, while the hills and mountain ranges around Bran offer endless opportunities for hiking, biking, horse riding and camping. The beautifully situated village of Moieciu, just up the valley from Bran is an equally good base for exploring the wild Bucegi and Piatra Craiului ranges. 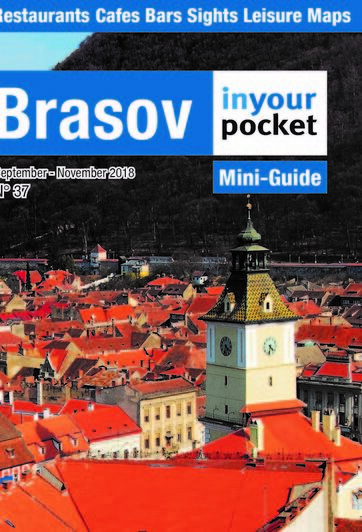 Another nearby village, Râsnov, is somewhat overlooked by tourists to the region, but the citadel above the village is in many ways more memorable than Bran castle. Also within a day's excursion of Brasov are Harman, Prejmer and Feldioara, all of which have fine fortified Saxon churches. That at Prejmer is one of the best preserved in all of Europe.